McCormick.com wanted to help home cooks find wholesome dinner ideas for those crazy nights. McCormick used Google data to identify the top 10 most searched dinner recipe terms during the fall of 2012 and matched them with simple and flavorful McCormick recipes. These Home Style Pork Chops are just one of those 10 recipes. Mix paprika, thyme, salt and black pepper in small bowl. Sprinkle evenly over both sides of pork chops. Heat oil in large nonstick skillet on medium heat. Add pork chops; cook 4 minutes per side or until desired doneness. McCormick is offering one lucky reader a gift set of spices to make great homemade dinners any night of the week. To enter you need to leave a comment answering “What is your favorite McCormick Spice or what McCormick spice you would most like to try. Giveaway ends October 13th at 10 pm. I would love to try the slow cooker spices! We really love just good old fashion garlic salt or powder, we add it to everything! Love to try more the slow cooker packets! 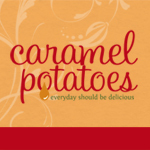 My favorite would have to be cinnamon…for snickerdoodle cookies and apple pie! My favorite spice is cinnamon. Would love to try the slow cooker packets. 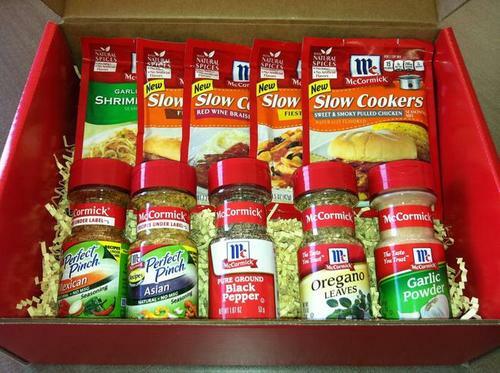 I love everything McCormick; but I haven’t tried the various slow cooker packets. I love using cinnamon, and I would love to try dill weed. I like their Italian Seasoning. Montreal Steak Seasoning is my favorite! I eat it on steak, hamburgers, pork chops! I love the perfect pinch garlic & herb! I use it on everything! I would like to try packets of seasoning blends to make wings. Yummm! We’re huge fans of garlic powder. We go through that faster than any other spices. Ooooh I always use the Garlic powder on pretty much everything I cook, but I’ve never tried the Slow Cooker Packets! Sounds delish! I would like to try to the asian perfect pinch. I do use oregeno & basil a lot too. I use the Hot Chili packets every time I make chili. Love it!! I would like to try some of the slow-cooker packets, I use my crockpot at least twice a month if not more! I love their pumpkin pie spice. I’m lazy. Montreal Steak Seasoning… Put that on every/anything! Garlic Salt is definitely my favorite! I would love to try some of the instant packages, but my go to has always been granulated garlic/onion, goes great on everything! My favorite McCormick spice is cinnamon! I love my slow cooker in the fall…I’d like to try some of those Slow Cooker spice packs…yum!